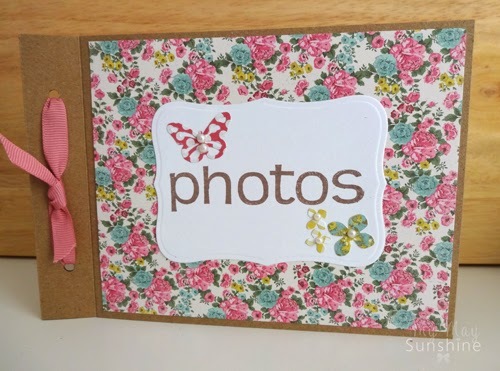 I love to give family and friends photos of the girls and for Christmas I decided to make some handmade photo albums to put some photos in and give as presents. 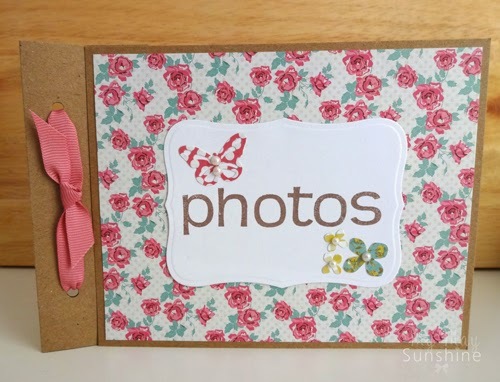 To make the photo album I used a 9 1/4 x 5″ piece of card and a 6 1/4 x 5″ card. On the large piece, I scored it at 1″ and 2″ on the 9 1/4″ side. 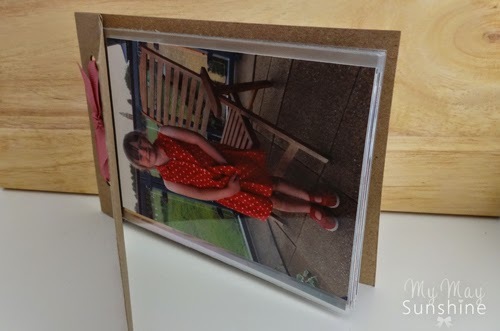 Fold over the card at the 2″ mark to make the album spine. Adhere the front piece to the back piece on the first inch of the card. 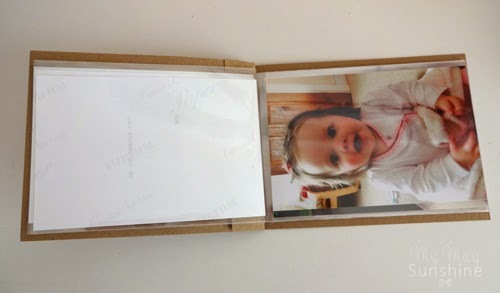 To store the photos in the album, I added some clear card envelopes to the inside of the album. I just stacked them on top of each other until you have the amount you want and fit in the album and then adhered them into the album back piece. Next I punched 2 holes to secure the clear envelopes into the album and then added some ribbon. On the front of the albums, I used some patterned papers from My Mind’s Eye. 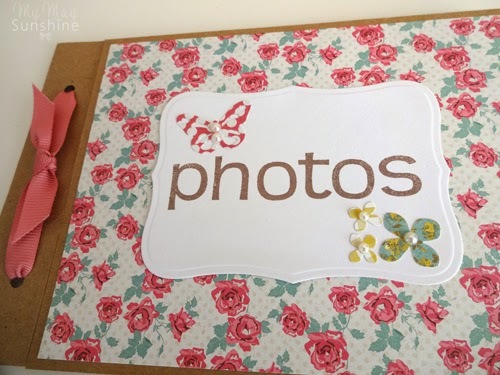 I added a label from Spellbinders Nestabilities Label eight and stamped the word photos on to it. 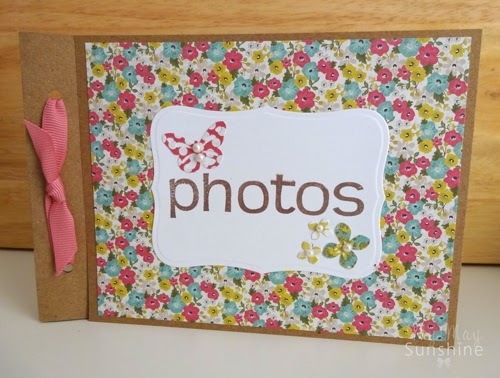 I punched out some flowers and butterflies using some Martha Stewart punches. To jazz up the butterflies and flowers, I added some pearl gems. 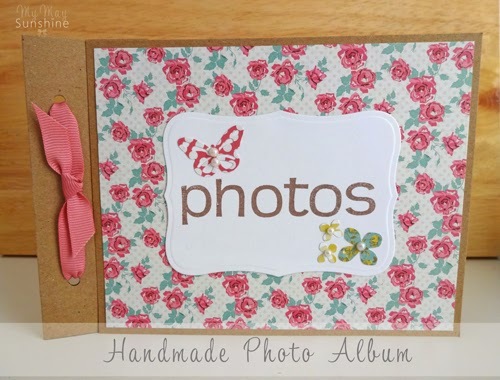 These photo albums were quite easy to make and I think they make a cute little gift if you want to give a selection of photos but don’t want to use a whole big album. What do you think? Do you think they make good gifts? Would you be happy to receive one? Let me know.